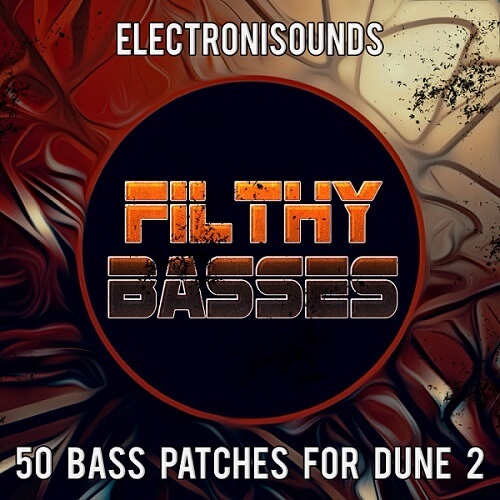 Electronisounds presents “FILTHY BASSES for DUNE 2 VSTi”. In heavy bass music, you need bass sounds that will stand out in your tracks – you need speaker-shaking, brain rattling sounds that make people say, “WHAT THE F***?!? !” — THESE ARE THOSE SOUNDS! Extensive mod wheel programming is featured in all patches for extreme sonic flexibility and sound variation(s). Punish your speakers, expand your sound and get these filthy new bass patches for your DUNE 2 VST synth! BONUS: We’ve also included all 38 bass patches from our Renegade EDM soundbank for DUNE 2, for a total of 88 bass patches!